In the last couple of years, sales of gift cards have exploded — and with good reason. They’re available pretty much everywhere, they don’t require wrapping and one size fits all. Plus, what foodie wouldn’t love getting a gift card to their favorite restaurant? How about a heaping helping of philanthropy? 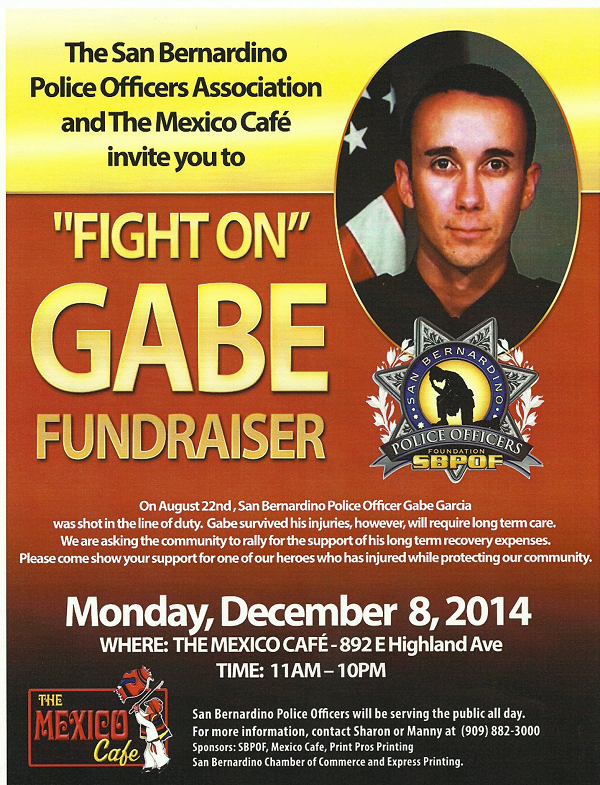 The Mexico Cafe and the San Bernardino Police Officers Association is hosting a fundraiser at the restaurant today (December 8) for San Bernardino Police Officer Gabe Garcia, who is recovering after being shot back in August. 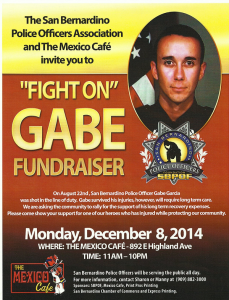 All tips and donations will be given to his family to help with his rehabilitation. 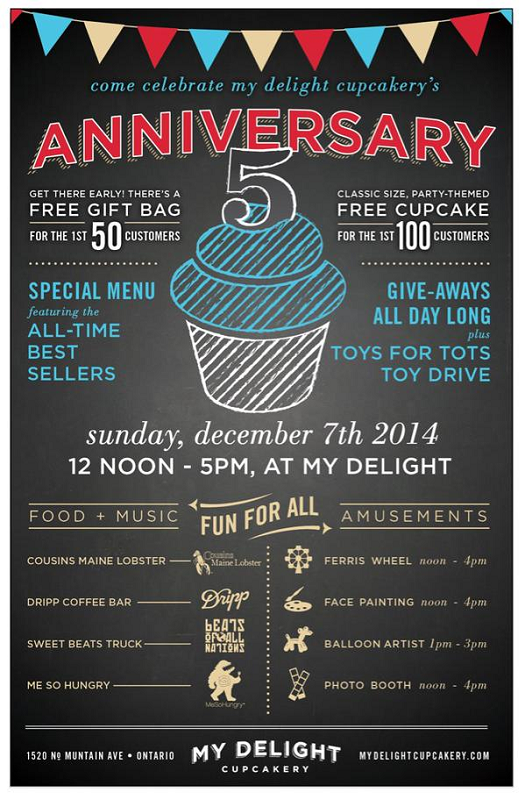 Ontario’s My Delight Cupcakery is celebrating its fifth anniversary on Sunday (December 7). 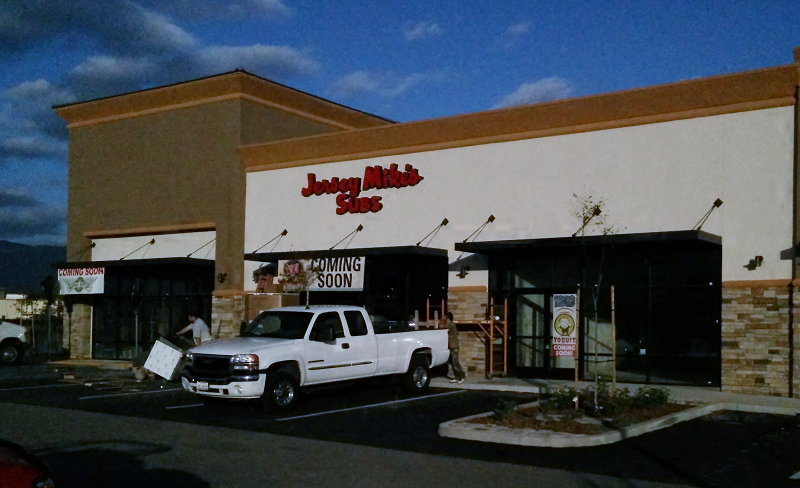 The event will run from noon to 5 p.m. The award-winning bakery will give away gift bags to the first 50 customers and a cupcake to the first 100 customers There will also be giveaways all day long. 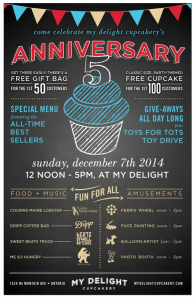 Be prepared to delight in a special cupcake menu featuring the bakery’s all-time best sellers. And because man (and woman) cannot live by cupcakes alone, there will be a pair of food trucks — Cousins Maine Lobster and Me So Hungry — to provide a prelude (or perhaps the other way around) to dessert.